American director, actor, and screenwriter who starred in such films as The Night Riders and The Ugly Duckling and who directed films including None But the Brave and Unholy Love. 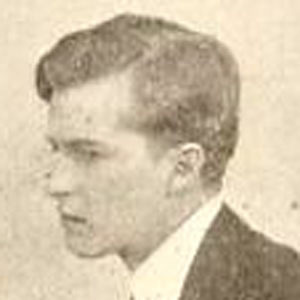 He first started in the film business as an actor, making his first appearances on screen in 1915. It wasn't until 1920 when he would make his directorial debut. He was a co-writer for a 3 Stooges production called Dizzy Doctors as well as the film The Cheaters. He was born in New Rochelle, New York and died in Los Angeles, California. He directed Ginger Rogers in the 1933 comedy horror film A Shriek in the Night.